The Palace Theater is located in the center of the state of Connecticut, 100 East Main Street, Waterbury – 35 miles from each state border and conveniently located off I-84 and Route 8. The Palace Theater is a culture and tourist attraction as a historic venue recently renovated as part of a $200 million economic redevelopment project for the City of Waterbury and the State of Connecticut. Through the generosity of the State of Connecticut and $35 million dollars, the doors of the Palace Theater opened once again to the public on November 12, 2004. All of the grandeur, originally designed by period architect Thomas Lamb, is what is described as a Renaissance Revival style, featuring an eclectic mix of Greek, Roman, Arabic and Federal motifs. 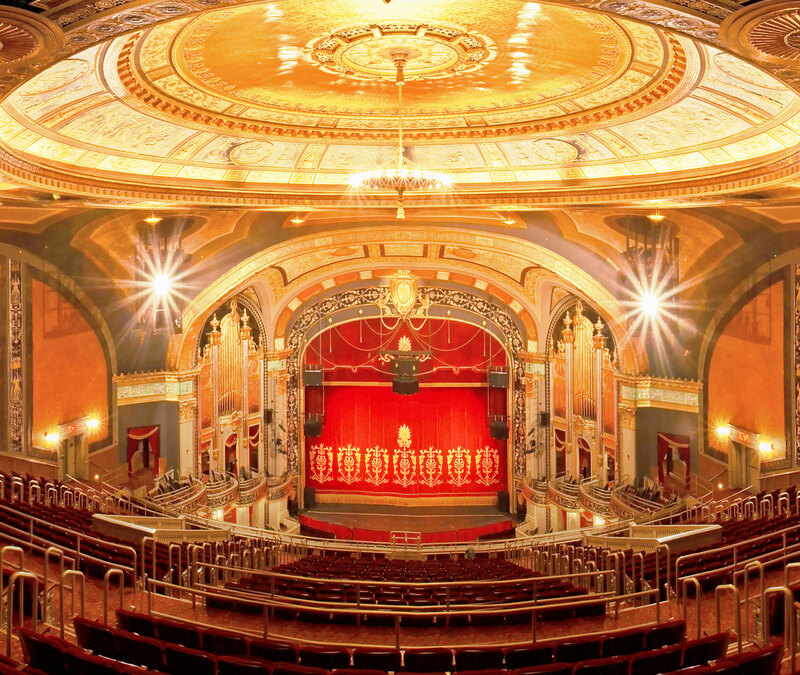 Boasting grand lobby spaces and ornate dome ceilings, the Palace Theater provides a palatial setting fit for a king – but intended for the people of Waterbury. As Waterbury's premier performing arts center, the Palace Theater's vision is to stimulate a cultural and economic renaissance in the region through the celebration of arts, education and community. The Palace is a 501(c)(3) non-profit organization with a mission to "preserve and operate the historic Palace Theater as a performing arts center and community gathering place that provides a focal point of cultural activity and educational outreach for diverse audiences." The Palace Theater Group Inc. is governed by a Board of Directors comprised of local business and community leaders from the Greater Waterbury region. To preserve and operate the historic Palace Theater as a performing arts center and community gathering place that provides a focal point of cultural activity and educational outreach for diverse audiences. The Palace Theater will stimulate a cultural and economic renaissance in the region through the celebration of arts, education and community initiatives. Revered as a treasured jewel, this grand performance space will not only inspire lasting memories but will become the preferred venue for performers and patrons alike.